Any blogger out there who has already worked and set things write for him/herself will definitely be thinking of how to make money online. Am actually taking about the newbies who has worked on their traffic, optimization of their blog and building reputation. Honestly the journey of making money online is not so easy but you can definitely success through hard work, because it requires hard work by writing a quality contents that people can benefit from. So you have to double up if you intend making money with your blog. The funny side of the story is that people keep creating millions of blog everyday on the internet and I tell you only few of them make money with those blogs and the remain few still find it very difficult to make money and majorly the main reason why most of them fail is because they decide not to follow the foot print laid by the senior bloggers; like I call it. From the aspect that I see blogging, it’s an industry anybody can build his/her career around in which you can make some cool amount of money with your blog daily, only if you chose anyway. Therefore, if you want to make money and be successful in blogging, you have to create time daily to improve and know ne things on your blog. Certainly blogging is very easy if you find your passion in it, but it requires a lot of sacrifices and commitment. Short advice is for you to build your readers list, and now let’s discuss different wonderful ways in which you can make money with your blog. Here are different suggested ideas. I choose advertising as the first point because I know most bloggers and some super blogs adopt this means of making money. Making money with your blog through advertisement, then we have some contextual advert companies there on the web who definitely can allow you to make money with them. All what is required of you is just to sign up with them as a publisher and you’ll place their ad codes on your blog so that you can advertise for them. 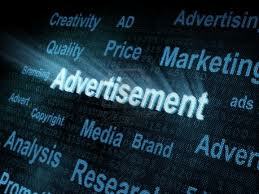 Examples of these advertising companies are: Googleadsense, chikita, bidvertiser and a lot of them like that. You’ll definite make decent money from these named sites if you have a blog that generates a decent amount of traffic and you also abide with their rules and regulations and most of them pay on (pay per click) PPC or PPM. Another way to advertising, in case you decided not to partner with any contextual advertising companies is to create an advert space on your blog for people to come and advertise and in this, there is direct contact and prices are agreed between the two parties. Unlike when you sign up a publisher account with a contextual advertising company. Someone asked me on how much a blog can make with advertisement way of making money like Google adsense. Well, I can give a precised amount anyway, but I can always recommend Adsense calculator for you. I believe you will learn one or two things that will be very useful for you there. This kind of money making is in respect to your blog visibility and traffic. Once you have worked on your blog and you are receiving a huge amount of visitor, then you now have the opportunity to package your own product and services for your audiences. It doesn’t have to be an edible stuff, lol guess it’s funny right? You can sell manuals for blogging tips, mp 3, video and e-books. I think bloggers really do use e-books these days for delivering their services. Then when it comes to rendering of services, therefore we talk about SEO, guest posting, freelance designing etc. Selling goods and services requires creativity. You need to be creative in your thinking before you can make money with this. Do what others don’t, and that is the secret. Quoting one of my colleagues” All I know is that we all have experiences and knowledge about the experiences we had, if we can help somebody by sharing our experiences and knowledge”. This definitely means we need to create value to make money online very fast. There was one time around 2011 when affiliated program was very popular, though it’s still very popular among bloggers today. It’s also a very good and common ways most blogger make their money online. They try recommending products on their blogs through links and at the end of the day, they get commission whenever sales are been made through the affiliated links. In a situation when your blog deals with SEO and blogging tips, you can easily promote ebook that is related with page ranking and any of your readers that are interested can get it from the links on your blog, and you get some money there. Affiliated program is a very interesting deal anyway, because it’s straight forward, sell links and make money. We also have some affiliate networks are:Amazon.com, Cj.com, Clickbank.com, Ebay.com, you can also get more on Google. Conclusively, I believe if you can take the pain and follow these outlined points, making money online very fast is not far from you. Though it may seem very difficult at first, but if you persist and never give up you’ll enjoy it at the long run. I need to tell you this, working online is one of the best way to be your own boss and control cool money. Start blogging today. For more contribution on how to make money with your blog, kindly use our comment box. Of course Muro… In life we should try and make money with out passion. thanks for checking.